Let's kick this off with a Scuttler #70908 for €64, that's 20% off German retail, 30% of Belgian price. Great! Let's get started then. First off, a general remark. When ordering from another country, Amazon will typically apply local VAT to the order. Local being the country where the goods are delivered - i.e. the one you reside in. This means that the amount you pay might differ from the advertised amount as the advertised amount includes German VAT (19%). The rate applicable for your delivery address will ultimately apply. What country you reside in also influences how good a deal is. LEGO tries to maintain a different price level for LEGO in Germany compared to a number of neighboring countries. Additionally, Amazon.de sometimes has delivery restrictions on some sets so a particular offer might be inaccessible to you because of the country of your delivery address. Note that Amazon might deliver for free to your country and that it has tresholds for free shipping in that case. Free delivery always takes a couple of days as well. Amazon DE is price matching Galeria Kaufhof. There might be other sets as well, but #75106 Imperial Assault Carrier is now EUR 77.99 - about the lowest it has ever been for anybody who wants to complete their SW Rebels collection. Right, checked the Galeria Kaufhof deals (here). Amazon will not need to make a big effort to match them. However for Nexo Knights collectors it might be worth keeping an eye out for Amazon matching their price for #70316 Jestro’s Evil Mobile (they have ot for EUR 29.99). Amazon.de seems to have no stock of #70316 and Galleria Kaufhof only ships to German addresses. Which is a good thing for me personally as I'd be tempted to buy a second one *Hangs head in shame*. I'm tempted by the #75106 - Sabine with helmet! - but I'll try to resist as I'm already way past the agreed monthly LEGO budget for Jan/Feb. I've acquired #70900 (smaller discount, +- 27%) and #70901 (indeed +- 40%, thanks @Kerre). That being said I've currently blown my budget for May so you're doing alright. Anyway thanks @stlux ; for the headsup! #75170 The Phantom for 29,99 € (Benelux RRP=44,99 €, German RRP 39,99 €) at Amazon.de currently. 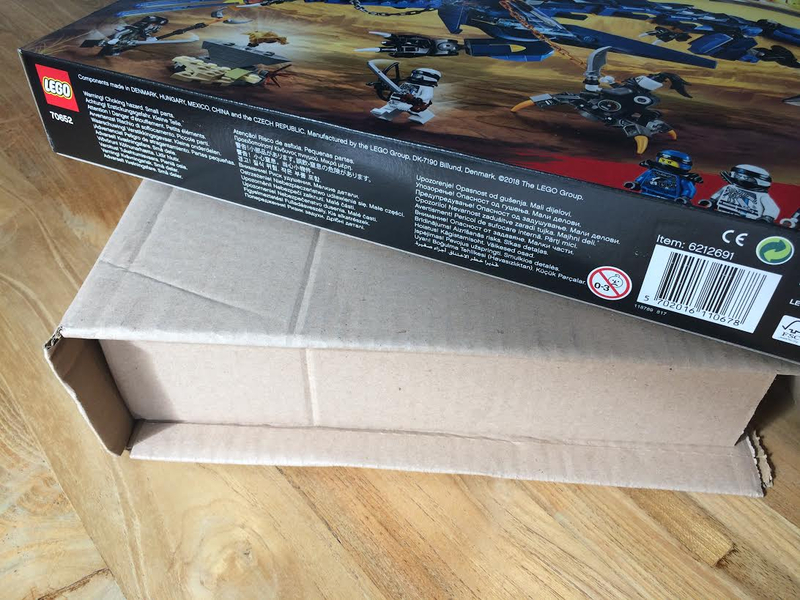 If you value your LEGO set boxes to arrive undamaged, do be aware Amazon.de possibly still sends these out either without or with very basic packaging (cardboard sleeve, not a box) as I described in the Amazon.co.uk thread. #75172 Y-wing Starfighter for 44,99 € (Benelux RRP 69.99 €, a bit more than 35% off). I just ordered that y-wing! It is €79,99 at Lego [email protected] in NL. I paid €45,75 for it on Amazon.de since VAT is currently 21% in NL. Still saved €34,24 on it compared to Lego [email protected] or any other retailer here. Is that set €10 cheaper over at [email protected] in Belgium!? ^You're right! Benelux RRP=79,99 €, German RRP=69,99 €. That's almost a 43% discount even with the higher VAT taken into account. Hadn't checked the figures that well as I was in the process of ordering one myself. My price alert set at 50 € had triggered and that typically prompts me to go into "Order now! "-mode in case stocks are limited. Deciding what I consider a decent price for the set is done when setting the alert. You're also correct regarding the price difference caused by the VAT rate. I stopped taking that into account for posting deals here. Comparing is complex enough already with these differing Lego Shop Euro RRP prices - did you know the RRP in France differs from the German and Benelux prices? It's 76,99 € over there? Belgian VAT is 21% like in The Netherlands so I paid 45,75 as well. Prices for delivery to Luxembourg would be lower than the Amazon.de advertised price since LU VAT is 17% instead of 19% in DE. Currently open for prime only, accessible from 20h15 for non-prime customers. Only 1% claimed so far so plenty of time to pick one up. Oh, and for completeness' sake: Duplo #10838 Family pets is 15% off. Amazon DE is price-matching some other German shops, resulting in some decent discounts on e.g. That's close to the lowest price these sets have ever been. They seem to be regularly going in and out of stock, but just check a couple of hours later. Worked for me. Prime only: Nexo Knights #70352 Jestro's Headquarters for 64,99 €. That's 66,08 € when ordering from Belgium due to VAT differences. RRP in BE is 109,99 €, a 40% discount. 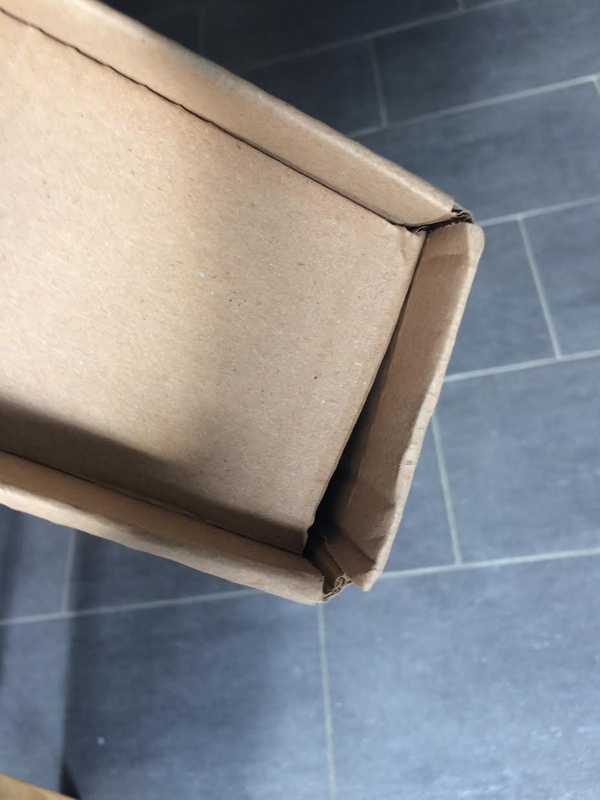 Amazon.de is at it again with their "frustration-free packaging" for this set. If ordering one, do be careful to check that "ship in Amazon box" checkbox if you want at least a chance of receiving the set box without major dents, tears and bags missing. It's basically the same offer of what was already available on Amazon.fr but with the benefit of being able shop in Dutch and get Dutch-speaking customer support. One working day delivery: My experience with Amazon.fr prime is that this promise is not always upheld. Hopefully this will now further improve. Personal positive here is that packages processes as on-day delivery consistently have arrived in better shape than the free-delivery ones. Prime Video: still no Dutch UI, some but not all content has Dutch subtitles. Some single seasons of Kids' series started to appear with Dutch audio though: Paw Patrol, Dora, Peppa Pig, Team Umizoomi, Ben and Holly, Spongebob, Avatar, Korra. Limited overall selection compared to Netflix for instance but a okay-to good value proposition considering the price and content Prime as a package. I personally really like some Amazon-produced content like The Man in the High Castle and American Gods. Tip: get a vpn subscription too! Access to Prime-only offers and early access Lightning deals: I still find it shady to have to 'buy' access to be able to buy products. Guess it works to get customers committed to the Amazon ecosystem though. Quite a bit o LEGO offers have been are Prime-only recently. Twitch/Prime Photos could help sweeten the deal if relevant for you. The ugly is still that difficult choice between Amazon.fr and Amazon.de. There is no Belgian Amazon site. Well, there is, but it's an unrelated Insurance broker. Now you have the difficult decision of choosing Prime on .fr or .de as well or pay a Prime subscription twice if you want to benefit from both. 5 € discount on a 20 € min purchase using the code IDEAL when checking out until 15/12. Delivery adresses in The Netherlands or Belgium only. As mentioned in the Benelux shopping thread: #75189 First Order Heavy assault Walker for 89,98 € at Amazon.de. No Prime required. The new technic rally car is 72 Euro for prime members. #75886 Speed Champions Ferrari 488 GT3 Scuderia Corse at 9.99€ (9.95€ in Belgium). No prime as far as I can see, now just hoping it arrives unsmashed. Could not resist, even with extra postage, still a great price. Thanks. 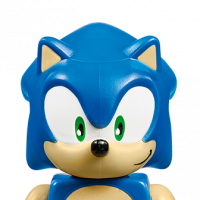 #17101 Boost is now EUR 95.39 - Amazon seems to be matching a local German toy chain (MyToys). Cheapest I have seen so far - might be a good time to get now that there's the potential to add it to the new roller coaster and one of the upcoming Ninjago dragons. ^Many thanks @stlux. Ordered right away - the right decision as the price quickly went back up to 105,99 €. Was lying in wait for this set to dip below 100 €. Since We were at a family function yesterday I ordered via the amazon app - accessed via the BS 'Buy now' button on the BS set page of course - and applied my voucher for another 5 € off. Brought the price down to 90,04 € delivered! If you did not use the amazon app before, the 5 € off a purchase of 25 € offer is still valid. Link above explains how it works. Grmbl2... now ordered #60200 @ Amazon.fr, and forgot this again. ...but that offer isn't on the app. So never mind. Found my #70652 Stormbringer I ordered off Amazon.de (@29.88 €) when I returend from a bike ride today. Surely this was not my Amazon order? I didn't recognize the box at first - it's a decent, sturdy design that can actually protect LEGO boxes against the abuse they're often subjected to during shipping. But it was, the label was facing down. I really like the box. Unlike the sleeve-type boxes providing no protection whatsoever to smaller/medium LEGO sets Amazon typically uses for shipping, these double-cardboard walls stand up to quite a bit of pressure (Not to say the regular Amazon boxes are good - they're not; but those "flangeless" things are plain awful). Set came out in fab condition - like I hand-picked the best set from a bunch of boxes at a brick-and-mortar store. So I'm a happy camper! Hoping these boxes are the new default for shipping LEGO sets at Amazon. Low Amazon prices+sets arriving in excellent condition= happy me. #42078 Mack Anthem is now EUR 99 on Amazon.de - seems like the lowest it has been so far. Prime only though. I ordered #75211 & #75209 The Tie-Fighter and Solo's Landspeeder for in total €60,50 today. Hurrah! Just noticed This post is my 1200th comment on the forum. #42083 Bugatti Chiron is now EUR 275 on Amazon.de - lowest so far? Doesn't seem limited to Prime either. Seems Amazon.de also has #60201 Advent Calendar in stock tomorrow, about 10 days before release date. Get your minibuild fix early! ^^ The Chiron is a little bit cheaper on alternate.de even (269€ currently) but shipping cost outside DE is unknown to me. ^ 9.90€ shipping + adjusted VAT means 283.42€ to Belgium. Boo. #70653 Ninjago Firstbourne is now listed at 45,98€. All time low and a very nice discount especially when comparing to the 79,99€ RRP in The Netherlands and Belgium. #70657 price was lowered to 170,89€. 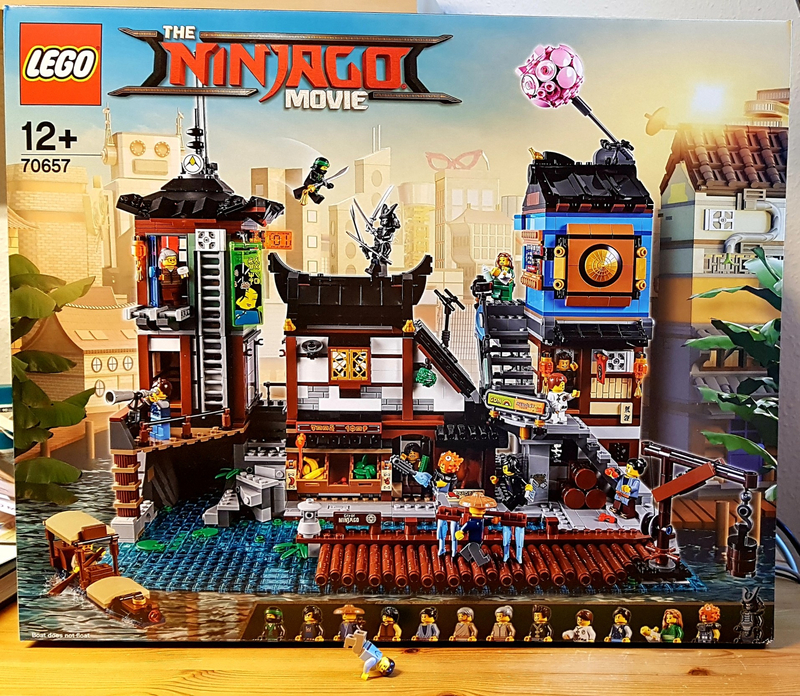 Ninjago City docks 170 euro, best Ive seen it. Statue of liberty also reduced. If the 170 hangs around long enough I will send one to the conference center I am going to in a few weeks there. Been waiting for a deal on this one. #75251 Darth Vader's Castle is out early on Amazon DE, and EUR30 off RRP today. Also 20% off #21311 Voltron. That is €101 cheaper than at full RRP in The Netherlands; just over 40% discount on this set counting 3553 lego elements. That is just totally awesome so many bricks for such a great price. MOC heaven!